Life doesn’t get much better!...............You could be forgiven if you think you are in Paradise….. Relax in a comfortable deck chair overlooking the Pacific Ocean – cocktail in one hand – favorite book in the other. Miles away from the hustle and bustle of everyday life……..dreams were made of this sort of thing! Or if you are more inclined, enjoy one of the many activities on board your amazing cruise liner, just working up an appetite for a scrumptious meal. 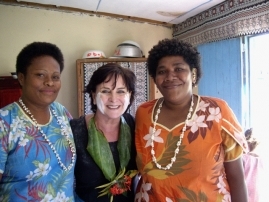 This is all part of the joy of cruising….. and the South Pacific is a perfect location. The ports of call in countries such as Fiji, Vanuatu, Noumea and New Caledonia have so much to offer but wont have you rushing around as you would in a big city. For those of you who are into Snorkelling, you will be amazed by the clear waters filled with so many types of colourful fish. A wonderland just waiting to be explored. Make sure you take your reef shoes and snorkel equipment. 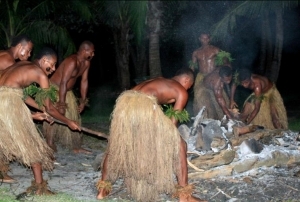 Enjoy a beachside barbeque with the locals and be entertained by the fire walking and cultural show. You may even meet some authentic island warriors. Be consumed by the island markets and the local handicrafts. Mystery Island in particular has an amazing number of markets stalls. Perfect tropical climate means that you are not often disappointed by weather. Even if there is a tropical shower it is still usually warm enough to continue your activities. The local people are just amazing. Smiles all round and the children are adorable. They love to interact with the passengers and have lots of fun. We recently took a P&O cruise on the Pacific Dawn cruise ship out of Brisbane. Our ports of call included Noumea, Lifou, Isle of Pines, Mystery Island, Wala, Champagne Bay, Port Vila. Destinations were perfect. As I have now holidayed on about 9 cruises it is difficult not to compare and I would rate the P&O as a 4 star ship. It is smaller than a lot of others that I have been on and is in some ways starting to look a little tired. 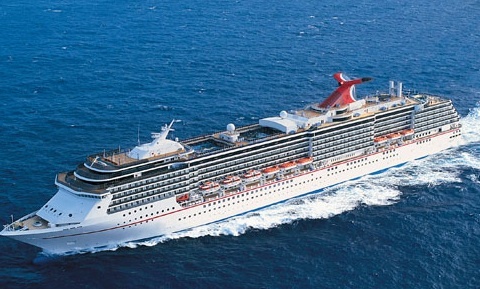 The ship is 21years old and is scheduled to go into refurbishment in 2012. 2 There is only one pool area although there are 2 pools and one is adults only. The pool also is the old style square pools that the only way into the pool is down a steep ladder. Not very suitable for older or younger people. 5 Dining is all "my time" dining which was great except you were expected to line up every night to book a time for the next day. 7 Duty free goods are cheapest in Port Vila, don't waste time shopping duty free in Noumea, its far too expensive. 9 I was a bit disappointed that the cruise staff did not publicise where the best snorkelling places were when you went ashore as their main focus was to sell their tours. For those who wanted to do their own thing, there just wasn't enough information given. Everything about this cruise was 3.5 - 4 star which is fine if this is what you are expectin however if you are expecting a 5 star cruise you may be disappointed. Find out where the BEST HOLIDAY DESTINATIONS are?